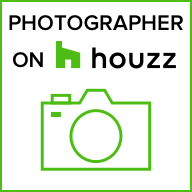 Who relies on Northern Virginia Real Estate Photography? Some people appreciate quality and style, and they recognize the value in spending a little more to achieve a better end result. They don’t just purchase the cheapest item they can find, but rather they educate themselves and source the ‘thing’ (whether it’s a product or a service) that will deliver them the highest value. Maybe the ‘thing’ will last longer, or look better, depreciate less, or provide a better return on investment. When it comes to real estate agents choosing a photographer to work with them on creating the perfect marketing campaign, the type of agents who use Northern Virginia Real Estate Photography are those who seek to deliver a successful result for their clients no matter what the investment is. And they know that beautiful images are one of the key ingredients that will deliver that success. Why? Because these agents know that if their properties looks great in the photos, then they are going to attract a flood of people to their open homes. Whilst other homes in the area will have just a couple of parties through on open days, these real estate agents will have a crowd. And by attracting so many potential buyers, they are far more likely to achieve a brilliant result. When it comes to the homeowner, the type of people who rely on Northern Virginia Real Estate Photography are the people who know that presenting their ‘castle’ in the best possible light is worth doing. Whether they are doctors, plumbers, single moms or sports stars, these are the people who want to be proud of the way their home looks online and in any other marketing material. When friends and relatives interstate or overseas ask to see what their home looks like on the real estate websites, they want to be happy to show them. They won’t settle for ordinary images. They want the best, and they want to be able to show their friends just how fantastic their home can look. These are the people who rely on Northern Virginia Real Estate Photography. For all your Real Estate Photography and Marketing needs please call us first. We offer a 100% satisfaction money back guarantee, 24-48 hour turn around time on most projects, unrivaled customer service and all the leading edge marketing tools for your Real Estate Business. © 2016 Northern Virginia Real Estate Photography. All Rights Reserved. www.novarealestatephoto.com Please feel free to share and tag yourself, but please do not alter in any way including cropping to remove watermark.